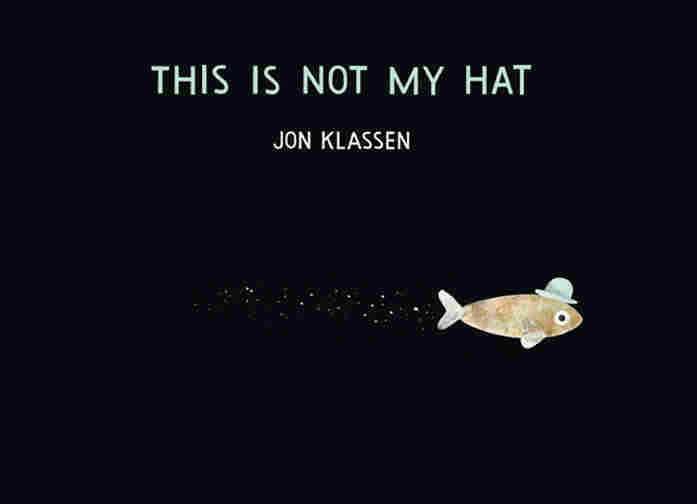 'This Is Not My Hat' Wins Caldecott Medal For Picture Book Artistry Written and Illustrated by Jon Klassen, This Is Not My Hat tells the story of a little fish on the run after stealing a small, blue hat from a slumbering big fish. Runners-up for the medal included a tribute to the color green and a tale of colorful yarn in a black-and-white world. The American Library Association has awarded the 2013 Caldecott Medal to Jon Klassen for This Is Not My Hat, which follows a little fish who tries to get away with stealing a small, blue hat from a slumbering big fish. As Horn Book Magazine's Robin Smith writes, "Klassen manages to tell almost the whole story through subtle eye movements and the tilt of seaweed and air bubbles." Some expected the association to pass on This Is Not My Hat because its predecessor, 2011's I Want My Hat Back, failed to win the award in 2012. Klassen also illustrated the recognized "honor book," or runner-up, Extra Yarn. This year's other honor books include Laura Vaccaro Seeger's Green, Aaron Reynolds and Peter Brown's Creepy Carrots, Toni Buzzeo and David Small's One Cool Friend, and Mary Logue and Pamela Zagarenski's Sleep Like A Tiger. The association also awarded the 2013 Newbery Medal, for "most distinguished contribution to American literature for children," to Katherine Applegate's The One And Only Ivan. Laura Vaccaro Seeger's Green is a concept book that lists and illustrates the color's many iterations: "forest green" has a woody backdrop, "sea green" has a bubble-blowing sea turtle and "fern green" has a view of the night sky as seen through ferny fronds. As the School Library Journal's Elizabeth Bird notes, "it has a low ebb of ecological sensitivity running through it that is VERY attractive to a committee." Green found its way onto a lot of prediction lists, but it's worth noting that, when it comes to the Caldecott, concept books rarely win the grand prize. Extra Yarn reads like a fairy tale: A little girl in a black-and-white world comes across a box of colored yarn that she starts knitting into sweaters and cozies for just about everything — friends, animals, mailboxes. The moral of the story comes when an evil, fashion-loving archduke comes to town and tries to take the box for himself. Jon Klassen's art is full of deadpan humor and, as Booklist's Ann Kelley puts it, "(hilariously unsurprised) bunnies and bears." 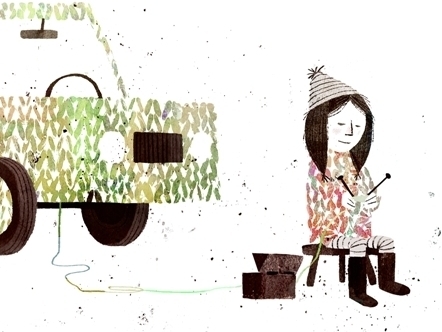 And despite complaints about Klassen's inaccurate portrayals of knitting — the little girl holds her needles upside down -- many see him as a strong contender. Baby Bear Sees Blue is a book for and about toddlerhood. It tracks a day in the life of Baby Bear as he explores the world — the warmth of the sun, the sweetness of fresh strawberries — alongside his mother. But what stands out is how Ashley Wolff illustrates Baby Bear's experience: inked linoleum block prints "render those bears a strikingly deep, matte black," writes Kirkus Reviews, and "lush, washy watercolors illuminate the scenes." Look inside Baby Bear Sees Blue. Unspoken tells its story through pencil art instead of words: A young girl living in the Civil War-era South discovers a fugitive hiding in her family's barn and secretly begins leaving food for the stranger. Horn Book Magazine's Betty Carter praises Henry Cole's illustrations as "unpretentious," writing that "it looks as if it's of the era as well as portraying the era." There may be one obstacle to Cole taking the prize, though: Early on, Unspoken came under fire for perpetuating a myth about how quilts were used to signal a safehouse for escaped slaves fleeing through the Underground Railroad. Chloe and the Lion is a story about two artists — Extra Yarn author Mac Barnett and illustrator Adam Rex — trying to tell the story of a little girl who gets lost in the forest. Eventually, she comes upon a lion, but when Rex insists it should be a dragon, he gets eaten by the lion. Eventually, Barnett is left to illustrate the rest of the book on his own. This book seems to have it all: speech bubbles, plastic figurines, good and intentionally bad illustrations, and more than a few laughs. But, as Horn Book Magazine's Robin Smith puts it, the big question will be whether the Caldecott committee thinks all those different styles work well together. Look inside Chloe And The Lion. Other contenders include Julie Fogliano and Erin Stead's And Then It's Spring, about a boy who plants seeds in the winter and waits for them to grow; Philip Stead's A Home For Bird, about a toad who helps the lost bird of a cuckoo clock find his way home; Marla Frazee's Boot & Shoe, about two sibling dogs who endure a painful separation after a frenzied squirrel chase; and Candace Fleming and Eric Rohmann's Oh No!, about a group of jungle animals who band together to escape a stalking tiger. Have your own personal favorite? Or did we leave it off the list? Speak up in the comments!